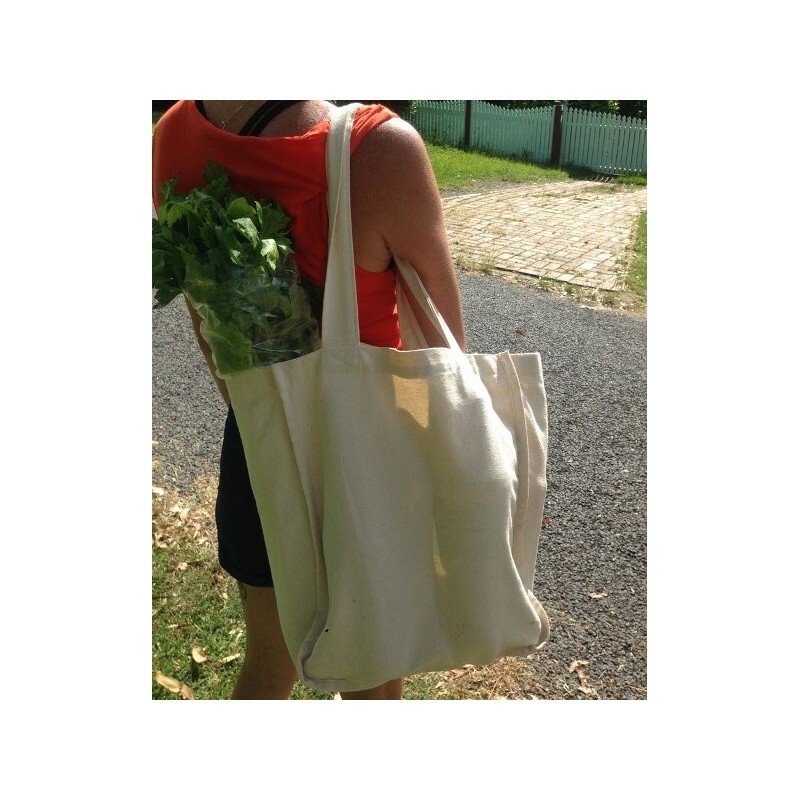 A large, compartmentalised shopping bag made from organic cotton canvas. Ultra durable thanks to the reinforced stitching, along with wide shoulder straps for added comfort while carrying. 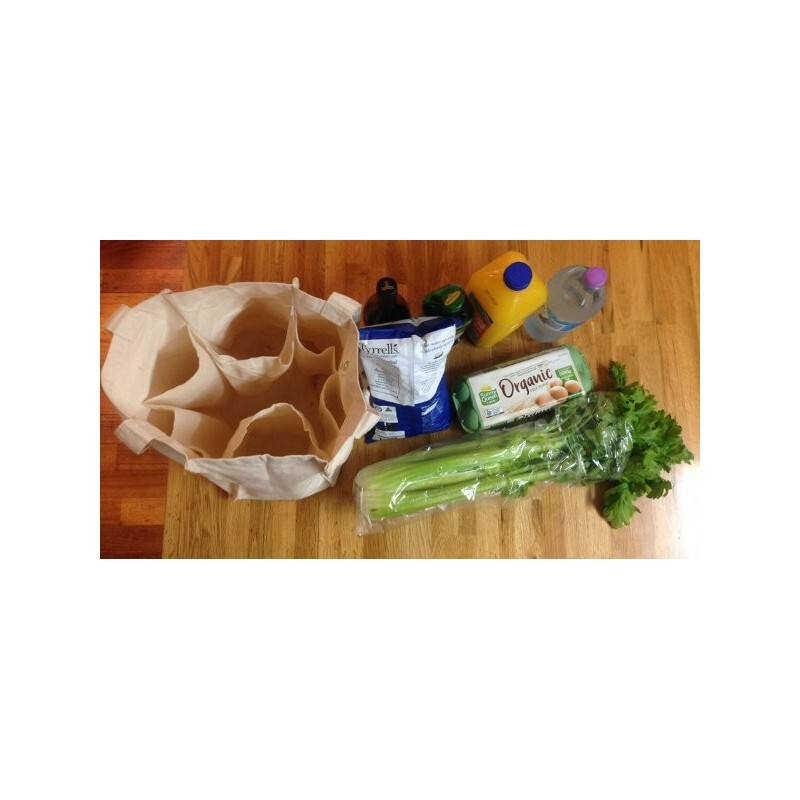 Six stitched bands on the inner side for protecting long and delicate items like fresh herbs and celery bunches, as well as holding bottles upright and separate ensuring other items do not get damaged. Undyed. 100% GOTS Certified Organic materials. 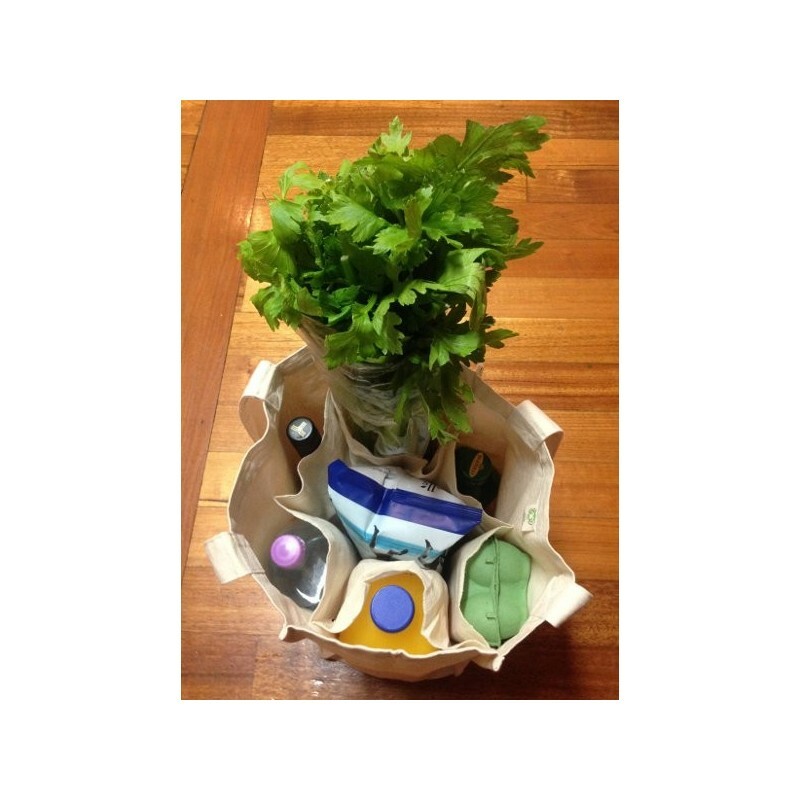 Two larger compartments for bulky items like celery and milk. Four smaller compartments for bottles, snacks etc. Wide shoulder strap for carrying comfort. 37 x 33 x 19cm, plus handles. 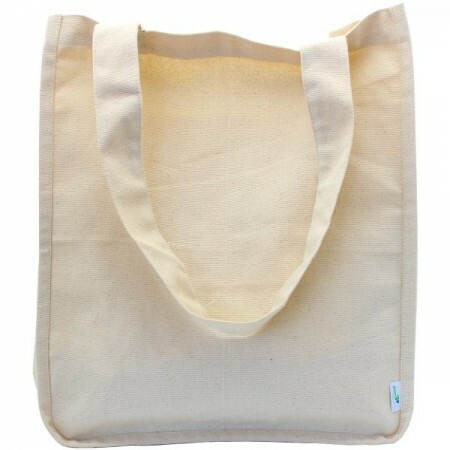 GOTS certified organic cotton canvas. 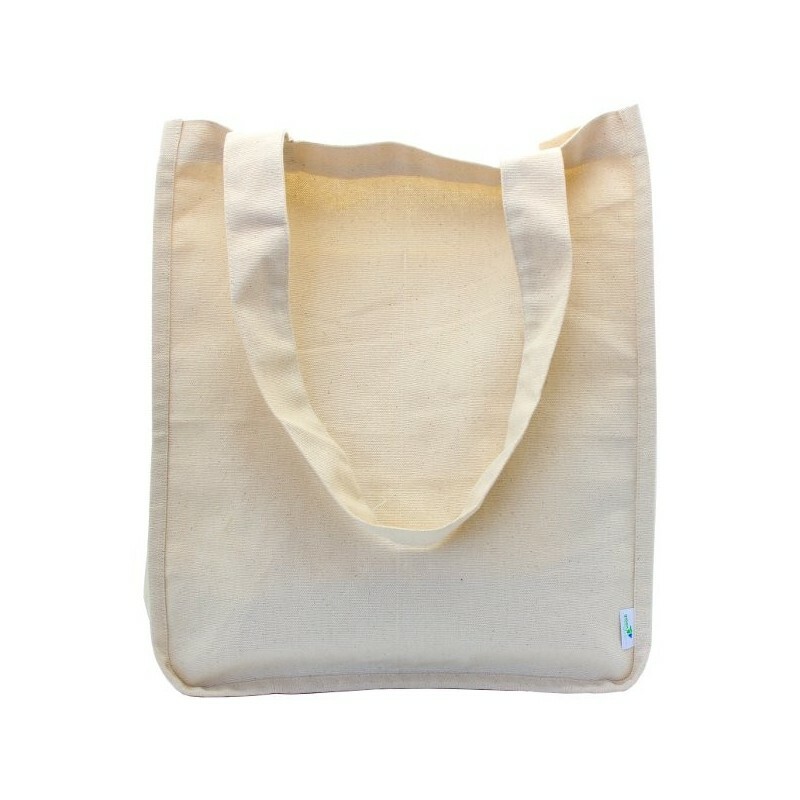 Browse our other shopping bags. Love the compartments & the long shoulder strap. Really keen on purchasing some more once they’re back in stock.